North of Helsingborg, and the gateway to the Kullaberg Nature Reserve, this tiny town really comes alive in the summer. A handful of sloping streets with pretty houses – some with pale-green paintwork, others with apple trees bursting with fruit in the front gardens – all lead down to the recently redeveloped harbour where there are a cluster of restaurants and cafés. 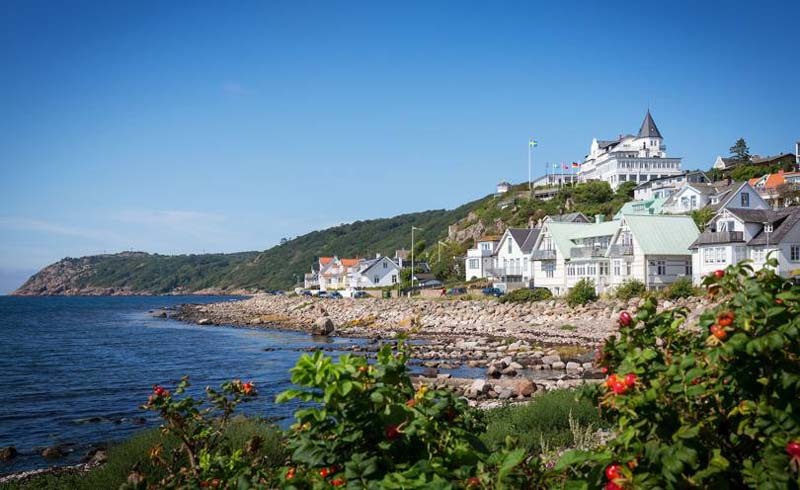 Follow the road round the coast from Mölle Brandstation café and after a few minutes you’ll reach Fågelviken, a sand-shingle bay. It’s not the best beach the region has to offer but is ideal for a post-hike paddle. A short drive away, in the Kullaberg Nature Reserve, there’s also pebbly Ransvik beach, flanked by rocks, with a jetty and steps you can climb down into the water. The best spot for fika is Mölle Brandstation, the former-fire-station-turned-café beside the harbour with red tables and chairs outside and cool Scandinavian interiors. 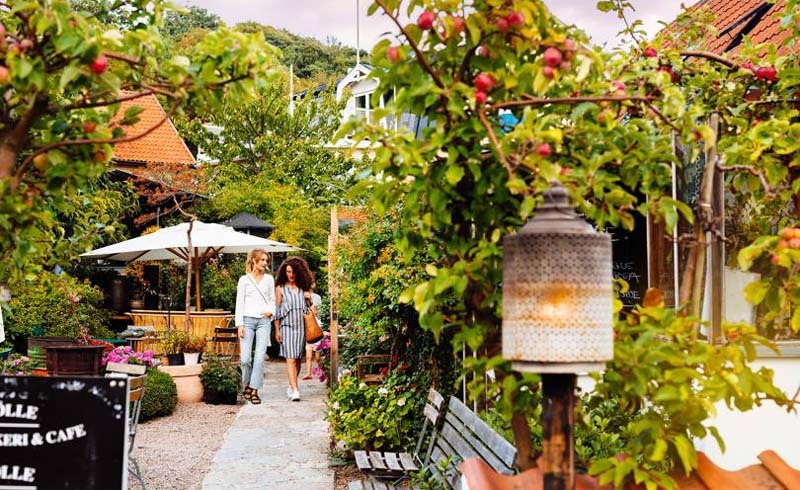 For lunch, head to Mölle Krukmakeri, a cute Italian pizzeria and café with a shady garden and a small pottery studio. It’s also fun to hire kayaks (book through Kullakajak.se) and paddle out from the harbour around the peninsula. 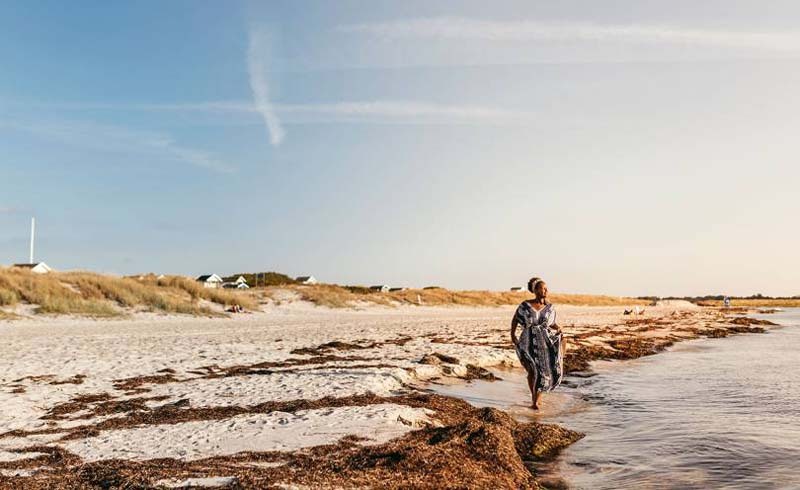 A favourite with the Malmö smart set who want to escape the city for summer weekends, the dreamy town of Skanör, in the south-west tip of Sweden, backs onto the inland lagoons of the Flommen Nature Reserve and the sandy beach beyond. Quiet streets with low-level houses are arranged in a grid (ideal for pootling around on a bicycle), with the occasional picturesque square. A ribbon of white sand hugs the peninsula, stretching from Skanör to the neighbouring town of Falsterbo. 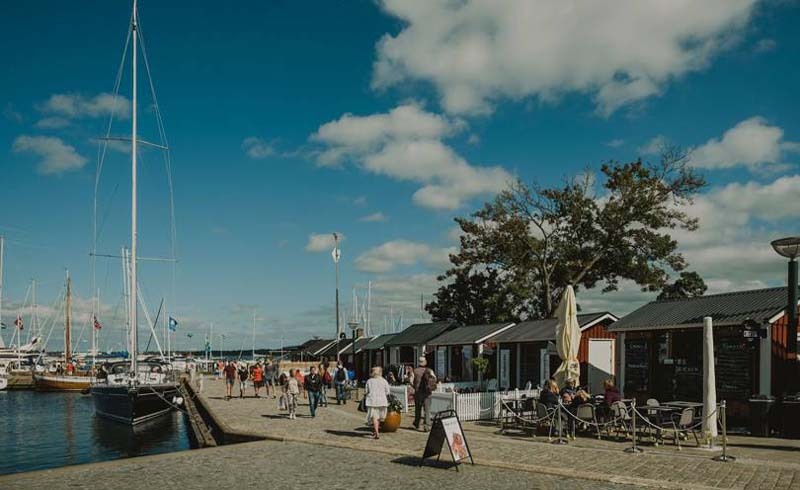 Skanör harbour is bookended by colourful beach huts on one side and a curving sandy bay on the other; Falsterbo feels wilder, with sand dunes and a wooden boardwalk that leads down to a longer stretch of shore. Both are reminiscent of some of the beaches around Newquay in Cornwall. Hang out on the beach with the local families. At Skanör, the contemporary wood-and-glass Badhytten café (order mussels and chips, or a crisp salad) has a rooftop terrace and seats right on the sand – it’s the perfect spot for sundowners. 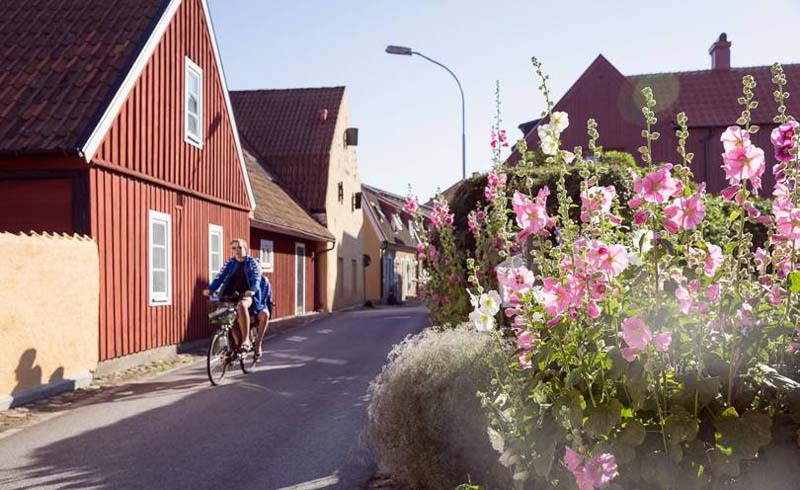 Made famous as the medieval town where the long-running detective television series Wallander was filmed (Scandinavia’s largest film studio is here too), this south coastal town has characterful cobblestone streets, pastel-coloured houses and quaint shops. 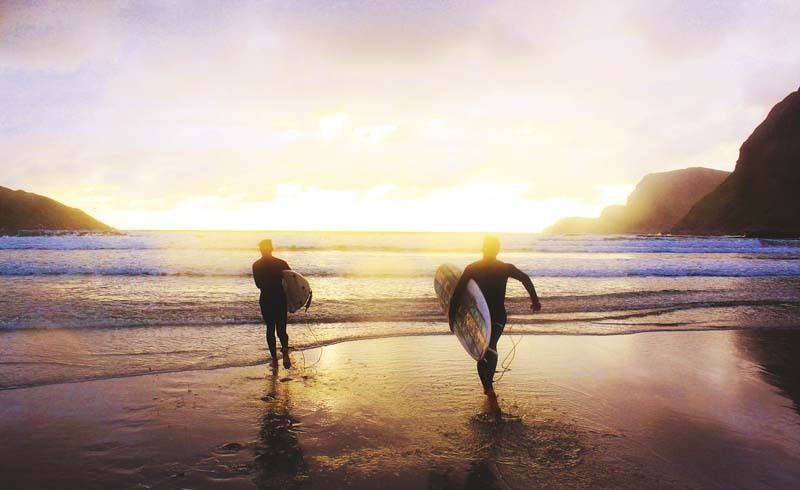 You’ll be spoilt for choice with all the gorgeous beaches: west of the town is Mossbystrand, backed by a nature reserve of the same name and known for its shallow waters and sheltered bay; east is Ryssbadet, where locals keep small boats in the sand dunes. From here, continue along the coast to Sandhammaren beach, a 12km strip of white, powdery sand backed by a pine forest. Be careful if you decide to swim: there are often strong sea currents. Head to Söderberg & Sara bakery in town to pick up croissants (the custard doughnuts are also delicious) and a cappuccino, or a picnic lunch to take to the beach. 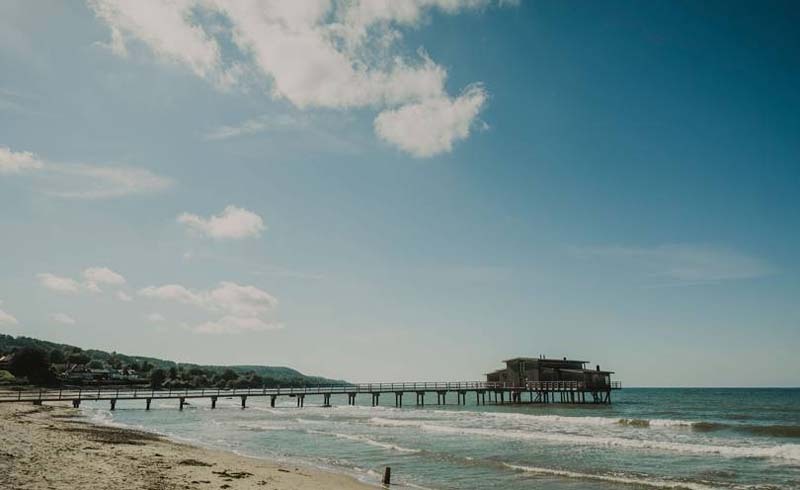 To the west, there’s also the Svarte Beach Club, a renovated kiosk with a handful of tables and chairs on a wooden deck that overlooks the sand. 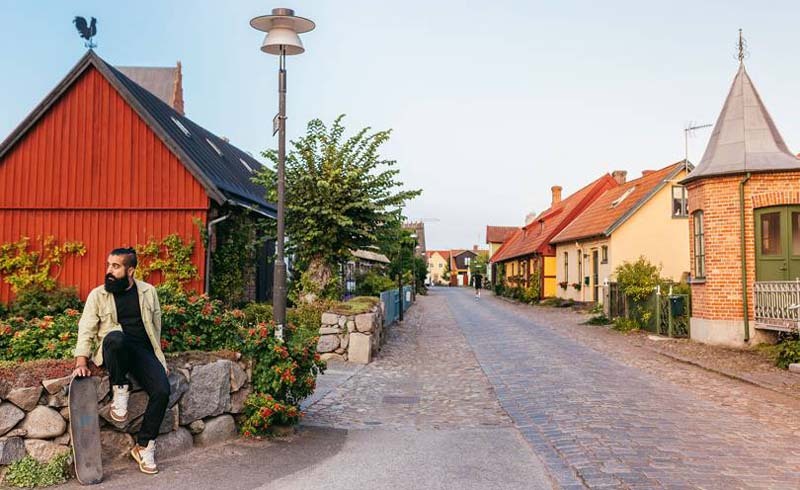 In Österlen, the south-eastern part of Skåne, Simrishamn is very similar in style to neighbouring Ystad and has a rich fishing past, which is marked by the herring sculpture down by the harbour. The sandy beach runs north for several miles from the harbour: rent a bike and cycle or walk along the footpath, stopping along the way for a dip in the sea. Börje Olssons Skafferi is a great deli with counters piled with freshly baked sourdough bread and cheeses, plus salads and pies for lunch (while you’re there, pop into Apotekarns, a homeware shop a few doors down, which sells everything from plates and vases to furniture). 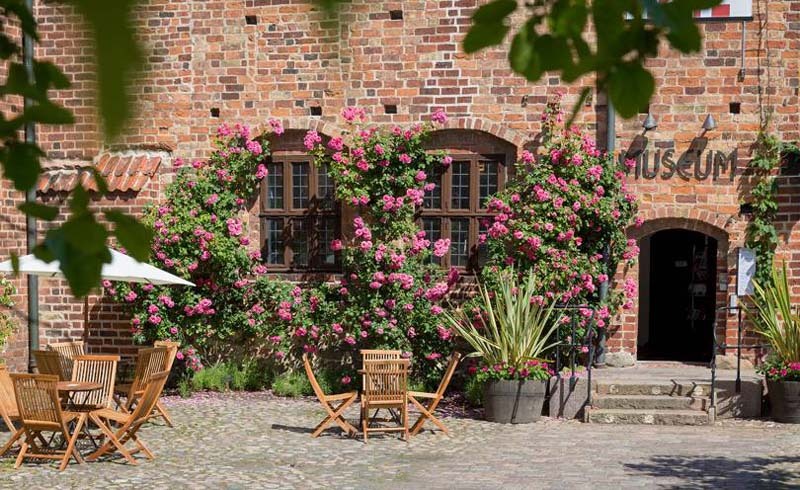 If you visit in the summer, it’s also worth the drive to Mandelmanns Trädgårdar, a family-run organic farm and flower garden. 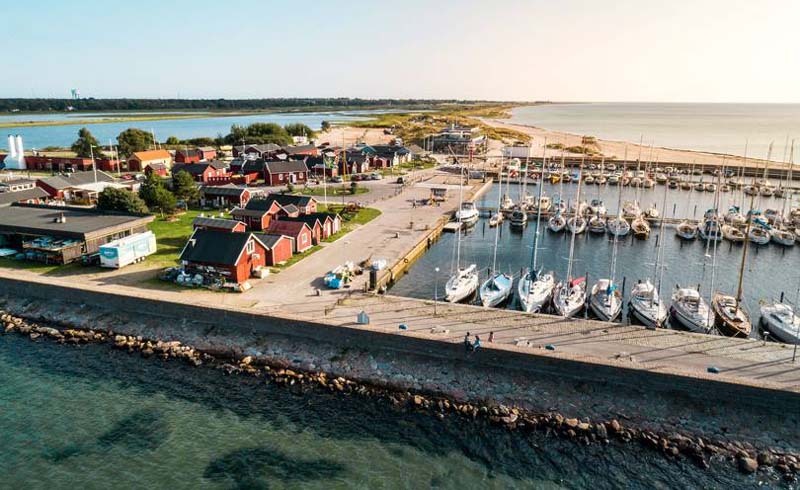 Often likened to the Hamptons because of the wealthy second-home owners who flock here in the summer, this northern town on the Bjäre peninsula has a handful of beaches within an easy drive and a buzzing harbour. The town beach is Skansenbadet but there’s also crabbing at Ingelstorp, a jetty at Torekov for sea swimming (afterwards lunch on shrimp toast at the lovely G Swensons Krog restaurant) and long, sandy Segelstorpsstrand, which is ideal for children. 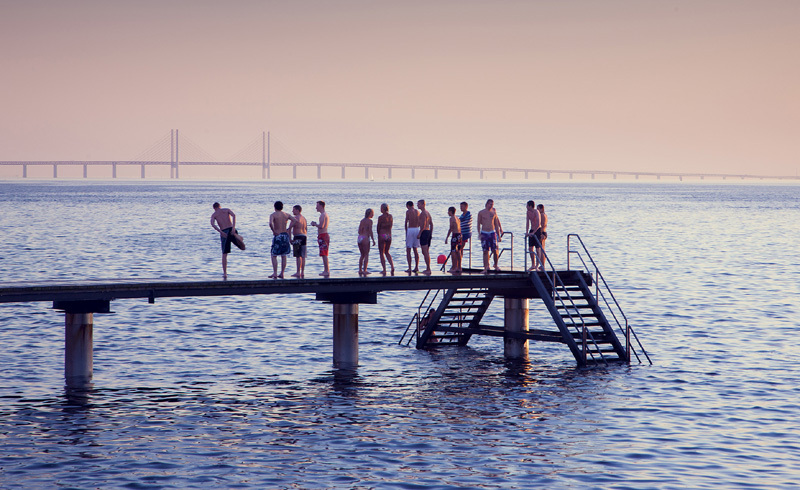 Visit the Kallbadhuset (cold bathhouse) at the end of a wooden bridge on Skansenbadet to try the hot-cold bathing routine favoured by the Swedes – go early in the morning and it will set you up for the rest of the day. 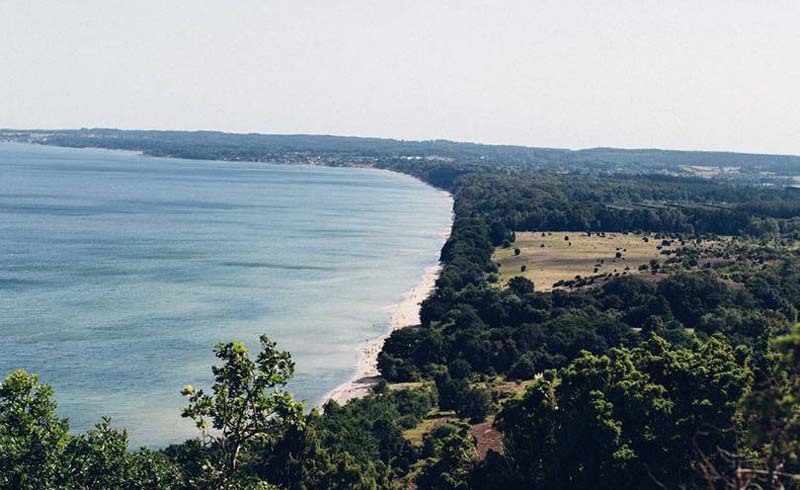 The rocky beaches and jagged outcrops of the Hovs Hallar Nature Reserve are great for spotting sea birds; pick up the Skåneleden trail, which weaves through coastal meadows, or go snorkelling in the Kattegat Sea. 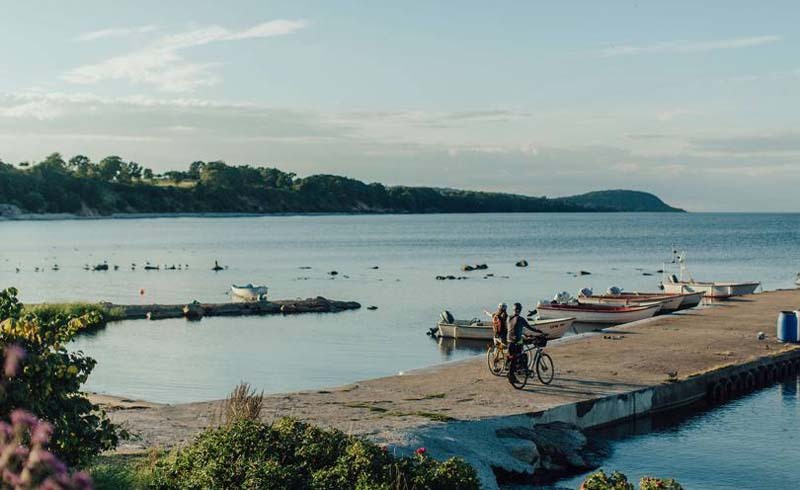 Back in Båstad, have a fish- and-chip supper on the waterfront, or head to the legendary Pepe’s Bodega, a restaurant, bar and nightclub beside the harbour. In this mellow, medieval town in the east the main industry is eel fishing (it’s also home to the Absolut Elyx vodka distillery). Stately homes line the waterfront promenade, wooden boats bob in the marina and in the summer visitors make a beeline for the beach. Åhus is part of the 40km-long Åla coast, which extends all the way from Kristianstad down to Österlen. The sand is fine and white, constantly shifting along the dunes and close-to-the-shore reefs. Fishing nets often dry in the sun and the dunes are full of colourful wooden huts. There are a handful of restaurants along the harbour promenade: Åmund is a casual spot to people-watch over a beer. If you visit in July, don’t miss the popular 10-day Åhus Beachhandboll Festival when around 1,400 teams play matches on the sandbanks.